The Orion 2.4 HX Non linear Junction Detector HX is REI’s Flagship NLJD (Non-Linear Junction Detector) offering a choice of 3.3 watt or 6.6 watt transmit power models, each with a touch screen display. 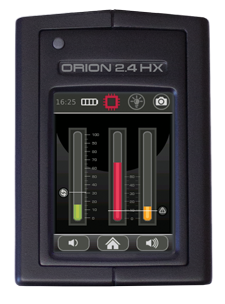 Building on the success of the standard ORION 2.4, (Brochure attached for download) the HX features a completely new grip molded touch screen controller display. The new display provides fingertip control of operation settings and graphic displays of transmit power histogram and spectrum type display of transmit, 2nd, and 3rd harmonic bands, which can be captured and saved for historical reference and reporting. 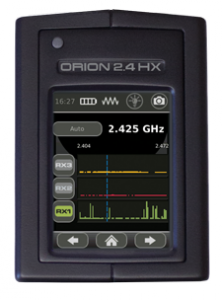 The ORION 2.4 HX transmits a 3.3 W or 6.6 W (depending on the model) EIRP digital spread spectrum signal (2.4 GHz @ 1.25 MHz BW) for greater energy on target, increased detection range, and interference. 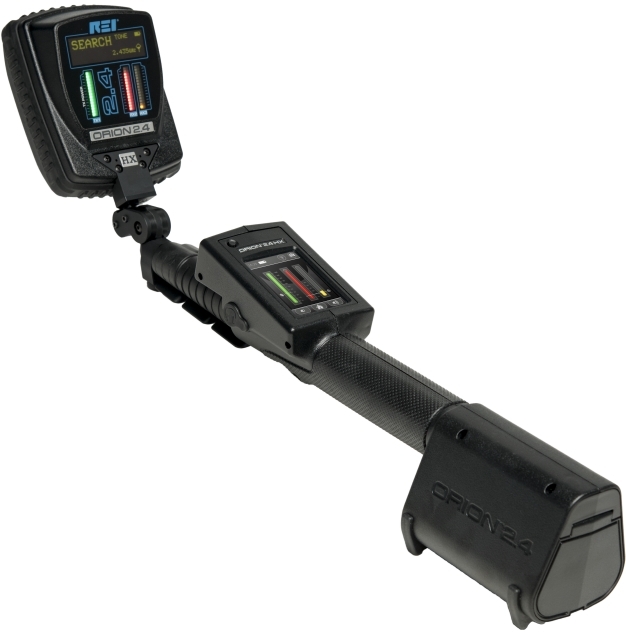 The Orion 2.4 HX Non Linear Junction Detector detects the presence of electronics, regardless of whether the electronic target is radiating, hard wired, or even turned off. 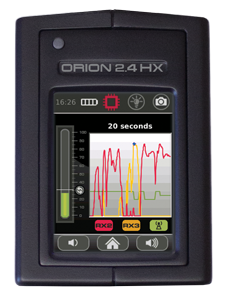 The ORION 2.4 HX locates hidden electronics in walls, floors, ceilings, fixtures, furniture, or containers. An antenna-mounted line-of-sight display lets the operator focus on the target while sweeping. The NEW ORION 2.4 HX transmits at 2.4GHz frequency for detecting small electronics such as SIM cards and cell phones.